Established in 2018, VIP Bet casino is wholly owned and operated by Nektan Ltd. The front page uses a wonderful mix of black, white and gold to lure you in. It offers several promotions, and highlights some of the most popular games available at their casino. Their website stands out from the crowd thanks to the super useful sidebar. Using it, players can sort by developers, game types, and win types, allowing you to easily find what you are after! The operator has dual licenses by the Gibraltar Gambling Commission and the United Kingdom Gambling Commission. VIP Bet uses the best SSL encryption technology to safeguard your data from middlemen attacks. One look at the layout makes it clear the casino was designed for touch screens, so mobile users can rejoice! While it has a decent offering of table games and live casino titles, the core focus are clearly video slots. Whether you want progressive jackpots, amazing classics or the latest releases by your favourite developer, VIP Bet has it all. The operator has twenty-six providers in total available on their platform, each bringing their very best for your enjoyment. At the time we wrote this review, the casino offered new players a Starburst focused welcome package. There were also other promotions, available for both existing gamblers and new players. Finally, VIP Bet casino rewards loyal gamblers with their VIP club. VIP status is lifetime, and comes with awesome goodies like faster withdrawals and exclusive promotions. The operator has a good variety of different games in their library, with new additions constantly growing the number. These titles are provided by some of the industry’s strongest developers like NetEnt, Microgaming, and NextGen Gaming. Available slots number in the hundreds, with all sorts of themes and special features being offered to players to get them to play. And while slots outnumber everything else, there are also some table and card games to be found at VIP Bet. There are over 550+ slots available in the game lobby, although you cannot sort by slots specifically. The sheer volume means you will be able to find the perfect game for you. But there is no good way to search for the sort of title that you want, unfortunately. The sidebar does not allow you to choose only slots, nor does it let you sort by reel count, or available bonuses. Jackpot games get their own section of the lobby, letting you easily sort through them and find your favorite. Since there are only 30 titles with a progressive jackpot available at VIP Bet, it will not take long to find your favorite. Under casino games, gamblers will find 34 different titles available for play. The most popular games are blackjack, roulette, poker and baccarat, with some extras like pontoon, Punto Banco, and a bonus wheel. The majority of titles in the table games section are made by Evolution and NetEnt. The only other developer in this category is Realistic Games, who offer three different blackjack releases. Live dealer section has a significant overlap with the table games category, sharing most of the Evolution titles. NetEnt only offers a couple of live blackjack titles and a few roulette games. Under the instant win tag, there are 34 titles which do not fit into any other category. These include bingo and lotto games, but also arcade games which help break up the monotony from time to time. For British gamblers, VIP Bet allows deposits by credit card, Neteller, Skrill, Boku, Paysafe, Trustly and Paypal. However, you cannot withdraw using Boku or MasterCard and Maestro credit cards. Since you will have to send additional documentation if you want to withdraw with a different method than what you deposited with, we recommend saving yourself the headache and using a method that can do both. After players have been verified, they can withdraw their cash winnings whenever they like. However, for bonus funds, certain wagering requirements have to be met before they can be turned into real money. 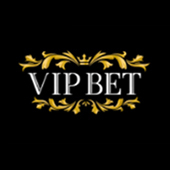 VIP Bet requires gamblers to verify they are of legal age before they can deposit or withdraw any money. If verification is not carried out in 72 hours, the account is suspended until you are confirmed 18 years or older. The operator only allows one withdrawal every 24 hours. The minimum withdrawal is £20, while the maximum is £2000. All games at VIP Bet have a maximum win cap of £250,000. This applies to all titles except for progressive jackpots. All withdrawals are examined prior to processing, and these checks usually last up to three working days. The examination process takes less time if you are a VIP member. All customer funds are held at a separate bank account from the rest of the casino. This money belongs to the players, and can only be used to play games at VIP Bet. The operator does not guarantee funds will be repaid in the event the casino goes under. VIP Bet has two licenses. British players are subject to the UK Gambling Commission and its rules. Meanwhile, gamblers from other countries bet are subject to regulations of the Gibraltar Gambling Commission. If you ever require assistance, you can contact the casino using e-mail, live chat or by telephone. E-mail is available 24-7, but you have to wait for a reply. Meanwhile, live chat and telephone are instantaneous, but are only available between 08:00 and 00:00 GMT. The casino has a large FAQ page that has answers to a lot of important questions. If you decide to register an account, we recommend skimming through it. VIP Bet does not currently have any presence on social media. There are a lot of things this casino does right, but it is not without its flaws. The sidebar is one of the most useful things any casino has ever implemented. The current library of games is pretty good, and will only get bigger with time. Finally, its user interface is easy to navigate, making it very easy to use. The downsides include a long verification period for all withdrawals that tries to push you to grind for VIP status. We also do not like the lack of guarantees that player funds will be returned should the casino ever become insolvent. The operator is good, but not great. There are still a few flaws that need to be ironed out before we can give it our full praise. After all, it has all the key elements needed for success. It just needs that one final push past the finish line to do it.